Your resting metabolic rate accounts for roughly 70% of the calories you burn on a daily basis. This 15-20 minute RMR test enables you to establish a sensible foundation for your fueling, dieting, or overall nutritional plan so you can dial in and actively manage the number of calories, and macro splits that make the most sense for your training and rest days. 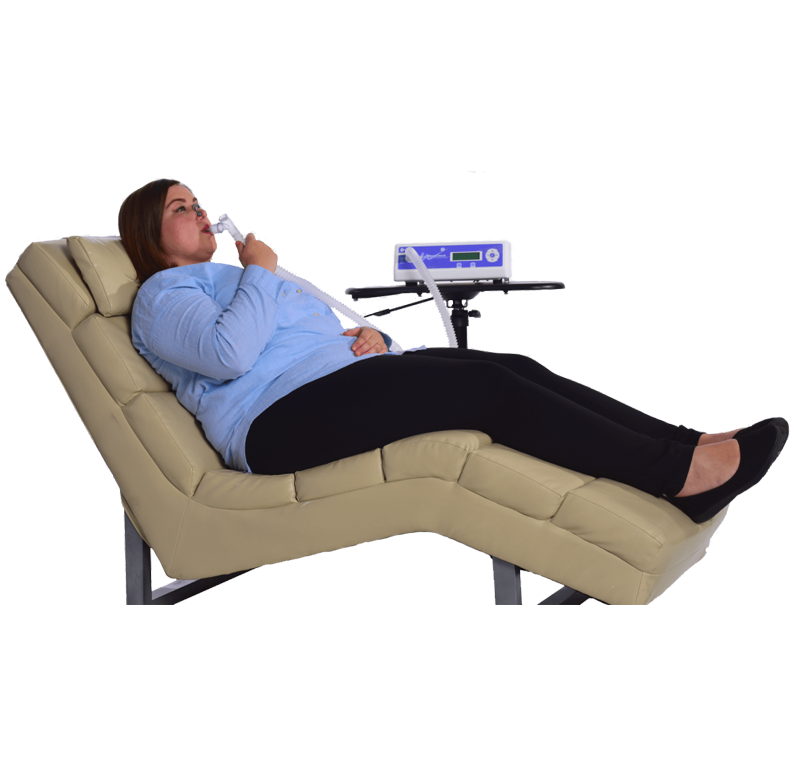 For Resting Metabolic Rate Testing, we currently use a MedGraphcis Ultima Series CPX, a true clinical-caliber metabolic cart, which is much different than what you will generally find at competing locations. MedGraphics refers to what we call an RMR Test as a ‘Nutrition Assessment,’ which is true. To really understand your caloric and macronutrient requirements, this breath-by-breath analysis is one of the best tools at doing so. Your Resting Metabolic Rate (RMR) or Resting Energy Expenditure (REE) is the number of calories you burn at rest and when carrying out subconscious metabolic processes, such as breathing. Your Respiratory Exchange Ratio (RER) or Respiratory Quotient (RQ) is the relationship between the amount of carbon dioxide produced to the amount of oxygen consumed (VC02 / V02). Your V02 figure is the measurement of the amount of Oxygen that you consumed during your test. Refrain from exercise, nicotine or caffeine for 4 hours prior to your RMR test. You will wear a neoprene face mask and breathing apparatus. Your report will be available shortly after your test is finished. NOTE: refunds, appointment cancellations or rescheduling are not issued to any individual that is unable to complete their test due to inadequate preparation. You can book an RMR Test appointment at our Sorrento Valley storefront, buy credits and use as booking tokens at a later date, or purchase an eGift and have it sent via email to a recipient of your choice. If you purchase credits, these will automatically populate to your account and can be accessed, redeemed | applied by logging into your BodyComp account. The complete metabolic package with an RMR Test and VO2 Max Test. Measure your caloric requirements and your fitness level. Use this data to fuel, eat, and train better and more efficiently. Total appointment time of roughly 1 hour. Your complete and comprehensive metabolic profile – measure your body composition, resting caloric requirements, and fitness level. Use this data as your ultimate baseline to set goals, fuel, eat, and train more effectively and efficiently.